With the latest poll now effectively putting both sides finally balanced on a knife edge, in a very similar situation to that of the first week of June when alternating polls would give either LEAVE or REMAIN marginal leads. Then it is no wonder than most political pundits are calling the referendum as being too close to call as now both sides are neck and beck and neither side is showing momentum to accelerate away from the other which means to expect a manic frenzy of activity in this last day of campaigning from both sides. 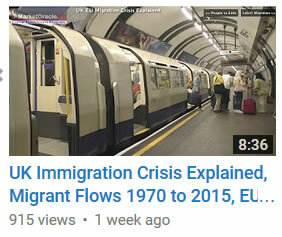 This analysis continues from Part 1 that focused upon UK immigration from 1970 to 2015 which demonstrated that since Labour took office in 1997 and started to sign up to the subsequent EU open border treaties, that immigration been to increasingly become out of control with net migration jumping from an average of 36k a year (1980-1997) to 206k a year (1998-2015) with the most recent data for 2015 of 330k confirming that the trend is still accelerating which implies that net migration could easily exceed 400k per annum by 2020 and that is before one touches on the fact that official ONS data may be under reporting REAL EU immigration by as much as 50%! The updated UK population graph shows an actual trend trajectory as per the most recent population data into Mid 2015 of 65.1 million, which suggests that the UK population could increase by an additional 3.5 million to my original forecast to 74 million by 2030 as a consequence of continuing out of control immigration and high birth rate that in total would translate into a population increase equivalent to 15 cities the size of Birmingham, despite the fact that it well over 40 years since the last new town was built let alone city! Human population has seen explosive growth over the past 200 years, which has prompted some such as David Attenborough to liken humans to a plague on the planet and the only way to save the planet is to urgently limit population growth. It took the world population 130 years to double from 1 billion to 2 billion (1800 to 1930), and the next 1 billion was added to total 3 billion by 1960, and then more than doubling again to currently stand at 7.2 billion. Which under any measures has demonstrated an exponential rate of increase. 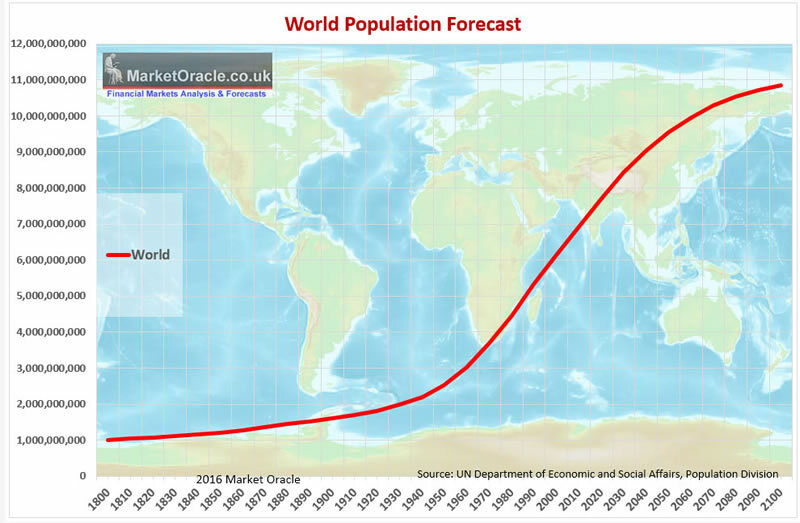 However humans are not done with population growth yet ! For the United Nations population division forecasts that the worlds population looks set to add a further 3.5 billion to reach an end century total of near 11 billion. 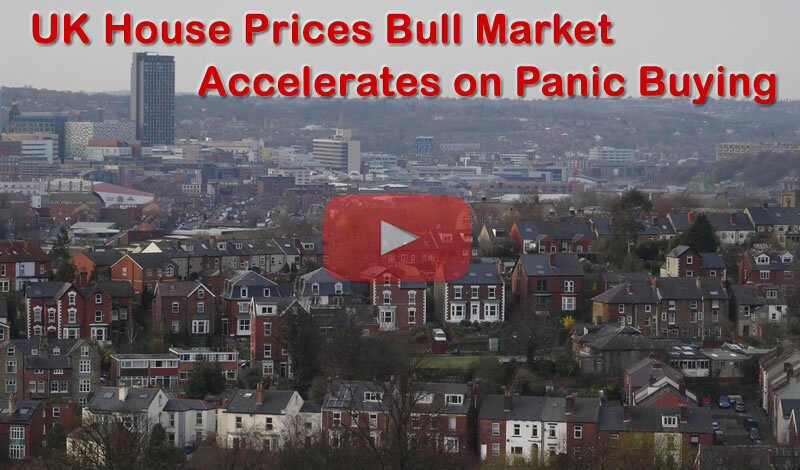 However, what's worse is that the vast majority of future population growth looks set to take place in those regions that barely able to cope with their existing population levels let alone when their populations more than quadruple in number! What's lost in the midst of this years migrant crisis of over 1 million migrants heading for Europe's shores, five times the number for 2014, is the consequences of the REAL MEGA-TREND, and not just of the war in Syria but the fact that Africa (North and South) is undergoing a population explosion that is literally manifesting in an exponential trend, one of MORE than doubling of Africa's population every 40 years that looks set to make today's migrant crisis look like a picnic when compared against several millions more per year who will be heading for Europe's shores in the not too distant future as the following global population graph based on UN data illustrates. Key points are that the populations of all continents are in the process of stabilising and leveling off or be in decline by Mid century. 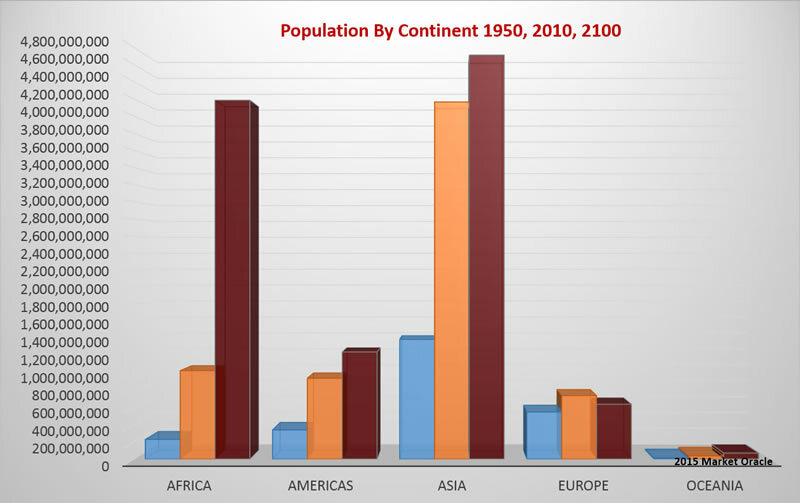 All that is expect Africa that has already quadrupled in population over the past 60 years (1950 to 2010) from 228 million (1950) to 1,031 million (2010) and again looks set to quadruple by the end of the century to over 4.2 billion. To imagine that a rate of population increase of approaching 30 million per year is not going to encourage migration in the millions to Europe is tantamount to sticking ones head in the sand, which is precisely where a blinkered European Union has firmly stuck its head for the past 2 decades, completely ignorant of the consequences of Africa's population explosion for if Europe cannot cope with today's 1 million per annum then what is going to happen when 2 million, 4 million, and then 8 million per annum flee the chaos of an over populated Africa that over 150 years will have gone from a population of 228 million to 4.2 billion a near 20 fold increase! 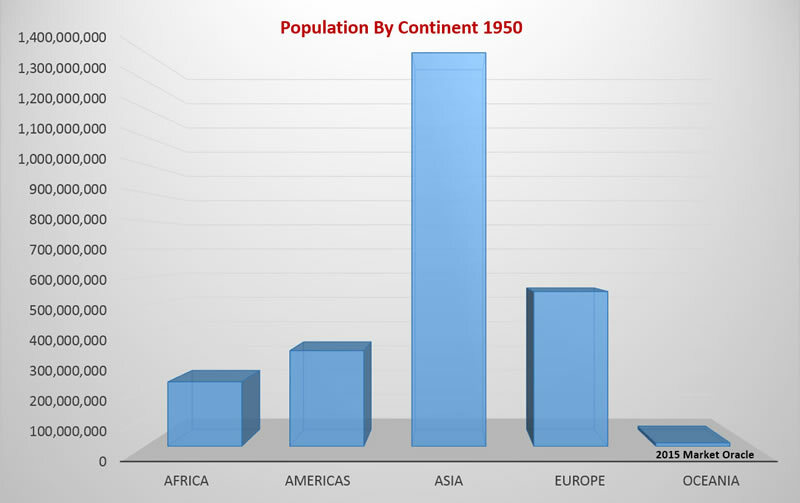 In 1950 when Africa had a population of 228 million against that of Europe's population of 550 million. 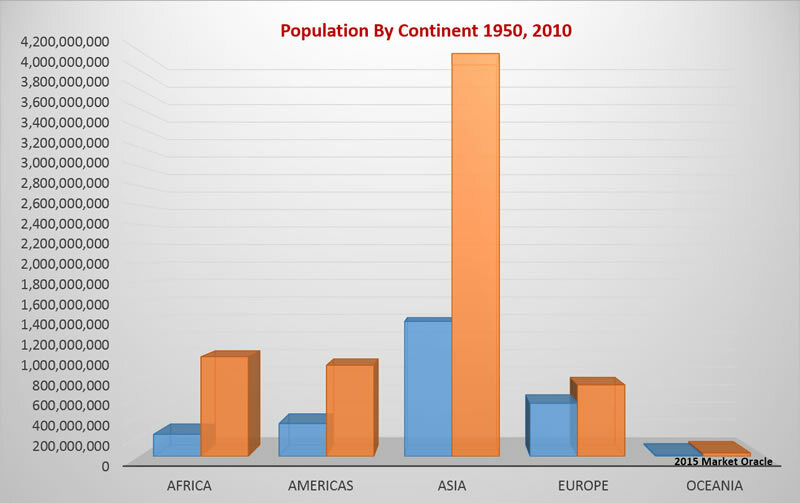 Today Africa's population has soared to near 1.2 billion against Europe that is peaking at 740 million or now 160% of Europe's population against just 41% in 1950. 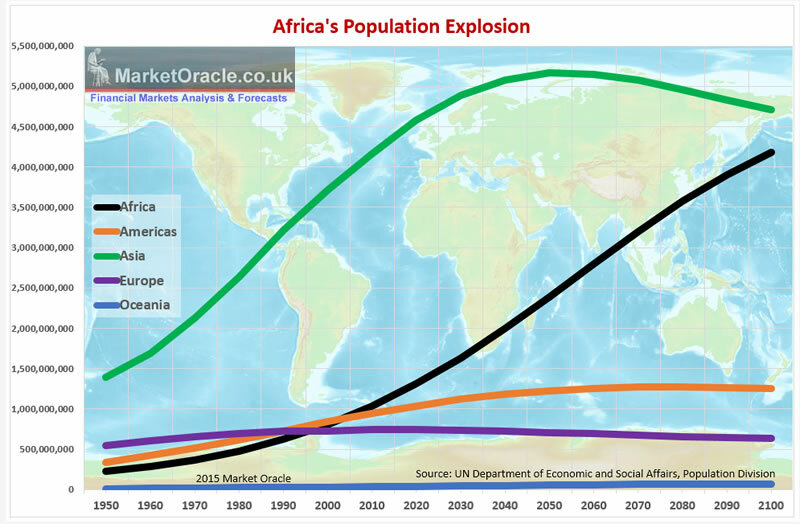 However, the United Nations population division forecasts a further near quadrupling in Africa's population to 4.2 billion by the end of this century which means that Europe could in a worse case scenario be on the receiving end of as many as 500 million migrants over the next 85 years from Africa alone at the rate of 5.8 mill average per year. Therefore today's migration crisis is just the mere tip of the Africa population explosion ice-berg that will make itself increasingly felt with each passing year, pushing Europe slowly in the direction of Britain's stance should Britain choose to LEAVE the European Union, as EU member states have over the past 6 months already been putting up new border fences and frontier controls, that herald the first tentative steps towards addressing the migrant crisis that faces Europe. Unfortunately the European Union of 28 member states is an unwieldy beast which as crisis after crisis demonstrates tends to act too little too late and is thus destined always be playing catch up in facing what amounts to an epic migrant crisis out of Africa alone. There is a consequence of the human population explosion, of going from 1 billion to 7.2 billion today and next upwards to at least 10 billion by the end of this century and that is the increasing impact of human activity on all areas of the planet, the foremost of which is climate change as a consequence of burning fossil fuels and deforestation. So what are the facts of climate change? 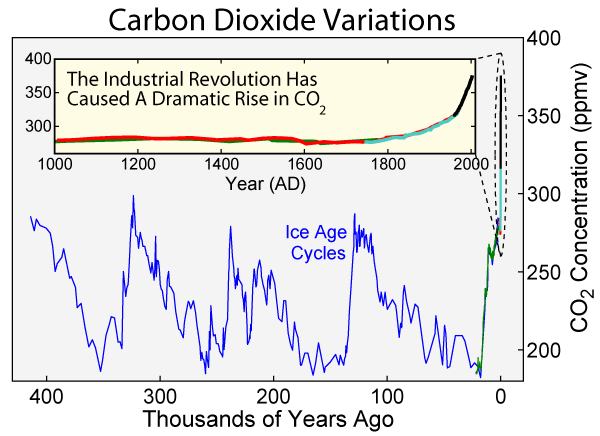 Atmospheric Green house gasses of which Co2 tops the list, has as a consequence of human activity broken out of its 400,000 year range and entered an exponentially rising curve. 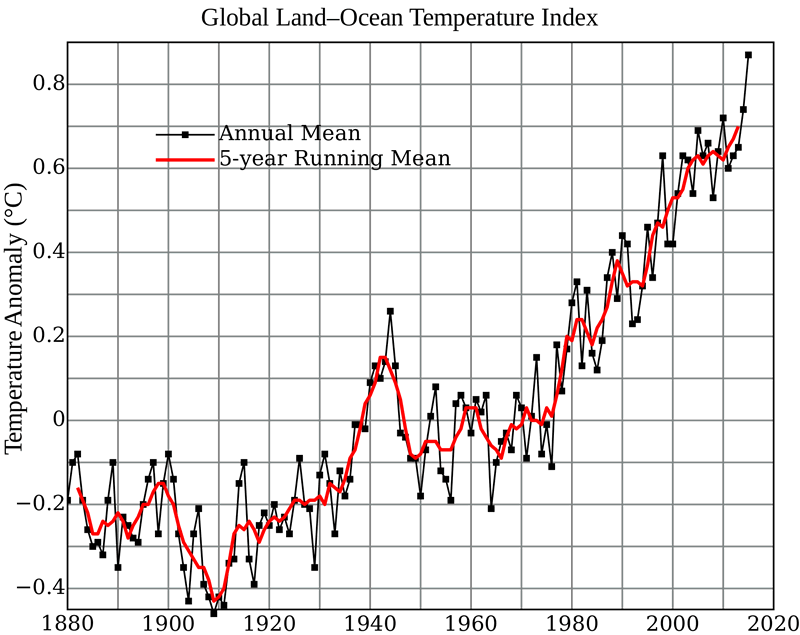 The ten hottest years of the past 130 years have occurred in the last 12 years. Each of the past 12 months have been the hottest months on record, that's 12 record setting months in a row! Typically adding 0.9c to 1.3c to global average temperatures which is set against the 2c target for the whole of this century! Sea Level Rise - Global sea levels rose 16cm last century as a consequence of melting ice sheets of Antarctica and Greenland and Glaciers elsewhere. However, the last decade alone has seen sea levels rise by about 20cm, which is set against governmental expectations for no more than a 1 metre rise for the whole of this century that could turn out to be anywhere from 5 to 10 ten times that level. Which would be catastrophic for many regions as nations such as China, India and Bangladesh are at the top of the list for being impacted by sea level rise, who alone could see over 350 million people turned into climate change refugees. For instance a melt of Greenlands ice alone would add about 7 metres to global sea levels, and if Antarctic's ice sheets totally melted then that would see as much as a 70 metre increase in sea levels. Therefore governmental expectations for just 1 metre rise grossly under-estimate what's likely to happen. Especially when one considers that warming oceans and seas will result in reduction of density and thus expanding volume, that alone could account for the governmental 1 metre target. Ocean Acidification - Acidity of the surface ocean waters has now increased by over 30% since the industrial revolution as a consequence of oceans absorbing some of the co2 released through human activity. Apart form the impact on marine life, the other consequences of this are impacting ocean currents such as the gulf stream resulting in more extreme weather events right across the globe. Desertification - Rising temperatures coupled with human action's such as deforestation is resulting in the loss of an estimated 30 billion tons of fertile soil per year, equivalent to the area of all of the farmland of the United States. The world is undergoing its sixth mass extinction event, the last being that of the dinosaurs some 65 million years ago. This time the culprit is the human species, where to date humans have done little to bring the trend of mass extinction to a halt which illustrates that perhaps there is nothing humans can do about it but just continue blindingly along a trend that turns much of the planet into an inhospitable barren landscape that is unable to support most of existing life let alone human life. So whilst we focus on the human consequences of climate change i.e. climate change refugees, however parallel to this is a mass extinction going on of life on earth, a massive reduction in bio diversity that the planet relies on to adapt to environmental changes which ultimately risks our OWN extinction, or at the the very least an end of our modern civilisation, putting the human trend into reverse gear on a far more hostile planet that is unable to support 7.2 billion hungry humans let alone over 10 billion, which implies climate change consequences ensure that the human population will probably never make it to 10 billion as the next 20 years will dramatically demonstrate, in fact this century may end with the human world population lower than where it began and not for any good reasons, for vast swathes of productive farm land will have become arid over the next 84 years. 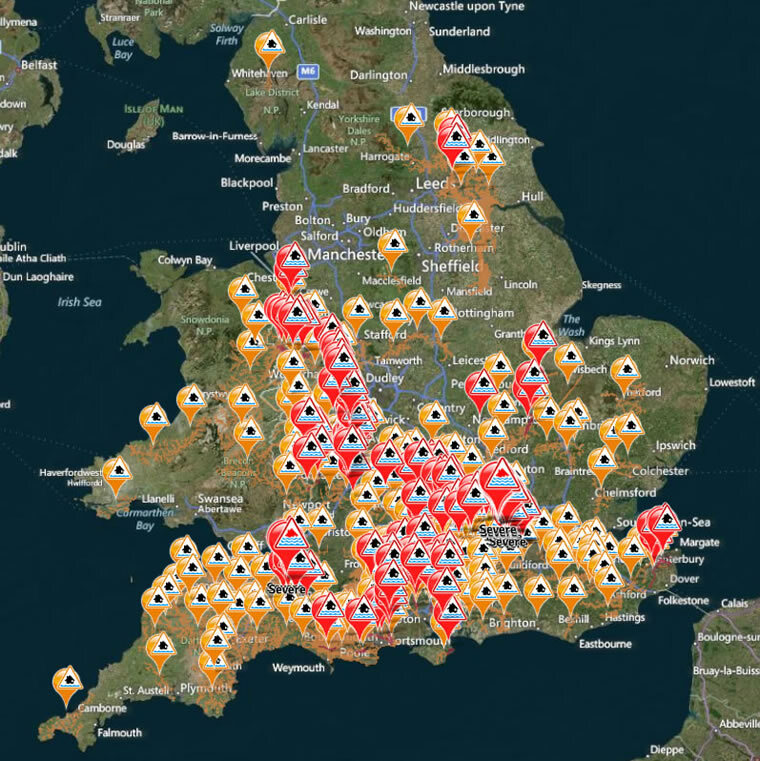 In terms of the impact on most in the west well that will be to see a continuing trend for costly storms and flooding, that will tend to become worse each passing year as once in century events become once in decades events such as the flooding that hit London and much of the South of England in 2014 and again the North of England just 6 months ago. So the effects of climate change are being felt right NOW, and look set to worsen with the passage of time, the consequences of which will be financial and economic. And this is before the consequences of 10 metres or so of sea level rise has even been considered. 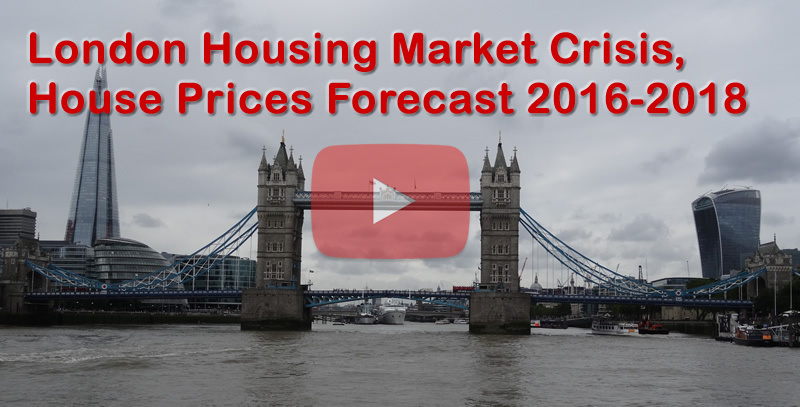 In terms of consequences for ordinary people then this will clearly hit low lying property markets at less than 15 metres above sea level and river basins hard. 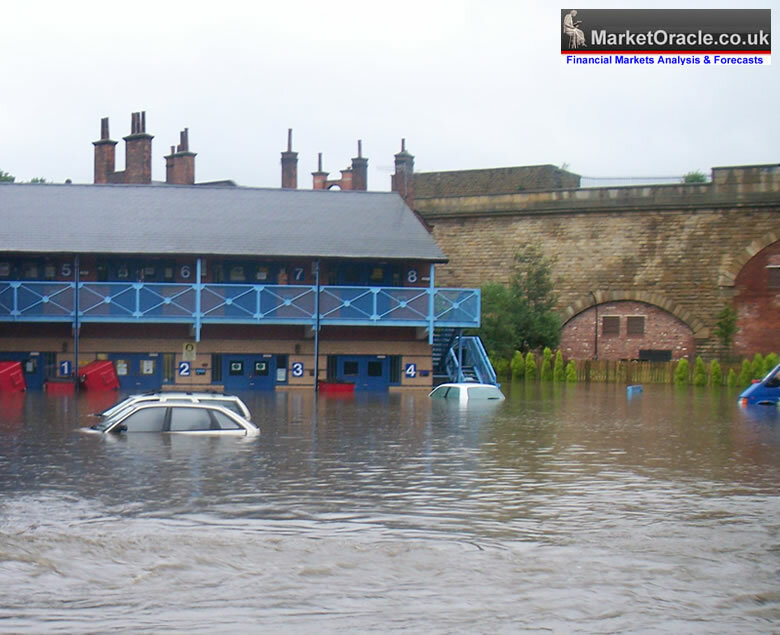 So in my opinion, home buyers should as a minimum not buy properties of less than 30 metres above sea level AND 10 metres in elevation from the valley floor / height of the normal river, even though this would remove many properties out of potential target locations and will extend to far beyond the environment agency's own current flood maps that tend to only cover 2 to 4 metres above the normal height of nearby rivers as recognised flood plains. What are the Worlds Governments Doing about Climate Change ? The worlds governments in Paris agreed to limit average global temperature increase to a maximum of 2 degrees this century by adopting measures to limit the release of green house gasses such as carbon dioxide from burning of fossil fuels. The only problem with this is average temperatures have already increased by at least 0.9c ! So at this rate average global temperatures are heading towards a catastrophic +5.5c increase by the end of this century, and the trend is accelerating i.e. 2016 is on track to be +1.3c above the long-term average, which means the world could hit its target for the century as early as 2020! If things weren't bad enough there are the other consequences of global warming temperatures and melting arctic ice and perma-frost in addition to rising sea levels which is the release of huge amounts of frozen methane, a gas that is 25 times more potent a green house gas than carbon dioxide that risks triggering a run way greenhouse effect as the warmer the arctic becomes the more methane is released, a runaway trend that could literally run for centuries! Which means whilst this century could turn out to be catastrophic as the worlds governments try to cap Co2 emissions. However, all their efforts look set to be blown away as a consequence of release of frozen methane that by end of this century could outstrip Co2 in terms as the primary driver for climate change. Worse still the NEXT century could be truly apocalyptic! Which I am sure will appeal to the world's religious death cults who will soon start penciling in new dates for End Times Armageddon when their respective messiahs will return to rapture them straight to heaven! So pardon my language when I say that we are FUCKED! There is NOTHING that can now be done to avert the consequences of climate change which will make its effects and dire consequences increasingly felt with each passing year. To illustrate the point of what to expect then what do you think is going to happen when whole nations such as Bangladesh virtually cease to exist, i.e. become near totally submerged. Where will those 200 million or so climate change refugees want to go to? And we don't have to wait for 50 years or so because already climate change is creating 200,000 Bangladeshi climate refugees per year and increasing. So again pardon my language but we really ARE FUCKED! The world we live in today is already rapidly accelerating towards the world we will be living in 20 years from now which will be unrecognisable of which just one consequence will be mass migration. Other's include the emergence of totalitarian states in response to economic, social and environmental crisis which is where perhaps an already undemocratic European Union is on the fast track towards arriving, using it's EU army to try and keep law and order in chaos. In investing terms, clearly agricultural and soft commodities are likely to see epic bull markets over the next 20 years, which will likely be the focus of much of my analysis over the next two decades. 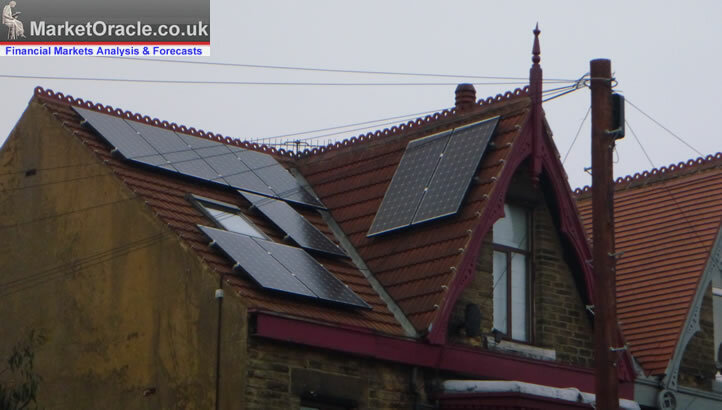 Whilst increasingly panicking governmental actions mean that the green energy sector such as solar and wind should do well in terms of government sponsored demand. And where the food crisis is concerned then clearly companies producing drought and temperature resistance seeds such as Monsanto should also prosper. And as reservoirs and aquifers run dry then the case for the widespread construction of desalination plants should result in a sustained boom for that sector too. Whilst those sectors that contribute towards green house gasses such as oil and gas are increasingly likely to come under pressure. Whilst today's debate centres around whether Britain will vote to LEAVE the European Union, primarily so that the UK can gain control over its borders in the wake of over 15 years of out of control EU immigration. However, given the time-frame for implementation of BrExit following an Referendum Vote to LEAVE the EU then such negotiations would likely continue for several years. 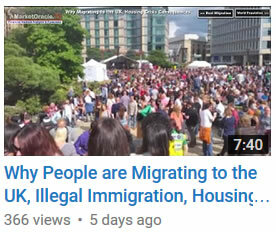 Possibly even five more years of not only net migration into the UK ratcheting ever higher as net migration in the 300,000's gives way to the 400,000's, but rather even the likes of Germany and Sweden this year have already been showing signs of migration panic and it won't be many more years when they too attempt to slam their doors shut to ALL migrants, even those from WITHIN the EU. So by the time the UK has finally exited the EU, by say 2021, then the example of BrExit coupled with a further worsening of the annual refugee crisis, then the Europe of 2021 may no longer resemble the European Union of today's open borders as by then member states in significant numbers will have become more aware of magnitude of the potential for an exponential migration crisis triggered by population explosion and climate change that will keep worsening every year, and every decade, that risks consuming Europe and triggering the emergence of totalitarian states that would once more devalue all human life. There are already signs of panic in the air, as the EU is splashing billions around North Africa and not forgetting the annual bribe of Euro 3 billion paid to Turkey that carry's with it the promise of visa free access for near 80 million Turks. Whilst the REMAIN camp counters LEAVE claims that given the chance many of the 80 million Turks would flood into Europe with the fact that Turkey won't be joining the EU anytime soon. All without realising that 80 million Turks Don't need Turkey to join the EU to want to head this way, just as 8 million Syrians don't need Syria to be part of the EU to head this way and so it will be the SAME for Turks as Turkey feels the wrath of instability, economic and social as a consequence of climate change as it follows the route of where Syria lies today, that is the ultimate destination for many sovereign states in and outside of the EU. So a decade or two from now how many hundreds of billions of euros will be being offered as bribes right across Africa in an doomed attempt to stem the tide of climate change refugees and economic migrants? So understand this that the European Union is DOOMED. The only thing that can save europe is the wake up call that a BrExit would deliver, likely first triggering a halt and then reversal in the trend towards forming a European Superstate, so that ALL European nations and not just Britain can start to implement policies to best cope with the climate change apocalypse that the world faces this century ! Unfortunately this article is note quite as comprehensive as I would have liked it to have been because I basically ran out of time! Tomorrow is June 23rd! 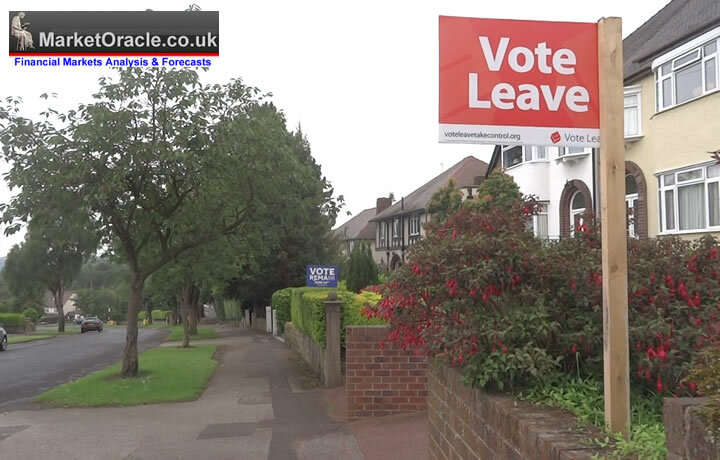 So vote LEAVE to SAVE Europe from the Climate Change Apocalypse! After the polls have closed, but before the results being to trickle in, I forecast that, regrettably, the Remain camp will win, even though they are neck-and-neck in the opinion polls. The reason is that there has always been a swing on polling day towards retaining the status quo. I shall be delighted if I am wrong! I am pleased you didn't fall into the trap of attributing any rise in sea level to the melting of floating ice. As Archimedes discovered, a floating body (such as an iceberg) displaces only its own weight of water. Therefore when it melts it will only occupy the same space as it occupied as ice. Some people get that wrong. Secondly, the Greenland plateau consists of peripheral mountain ranges that almost surround and restrain near 3 million cubic kilometres of ice, between 2 and 3 km deep. Current thinking is that this ice will take something like a millennium to melt, raising the global sea level by some 7.2 metres. This is because the top of the ice plateau has a mean annual temperature between minus 20 and minus 30 degrees C, and the surface only melts for brief periods each summer. Despite frequent addition through snowfall, there is a net loss of some 200 cubic kilometres per year, which makes it the largest cause of sea level rise, after the thermal expansion of the oceans themselves. Antarctica is less of a concern. For the foreseeable future, increased snowfall over the interior may well balance the loss of ice around the periphery. So you are right to worry about global warming and sea level rise, but your 10 metre sea level rise is likely to take 1,000 years rather than 100 years.